Door replacement « Think I am just thinking. Holy Cow Batman, what happened to the bat cave? Ok, so we do not live in a Batman, our cave (home) sometimes needs just a little fixing. 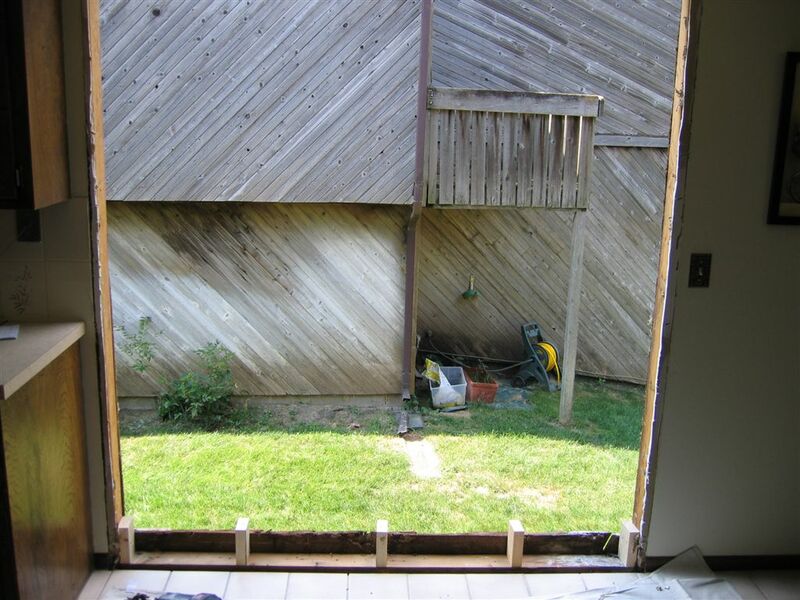 First there was the back yard fence. But no sooner was the exercise program project of rebuilding the back yard fence completed than the next project kicked into high gear. Amazing just how ugly a great big hole in the side of the house can look. Opening number two is the same size as number one. You have to admit, ventilation is good. Opening number three, creates a problem. 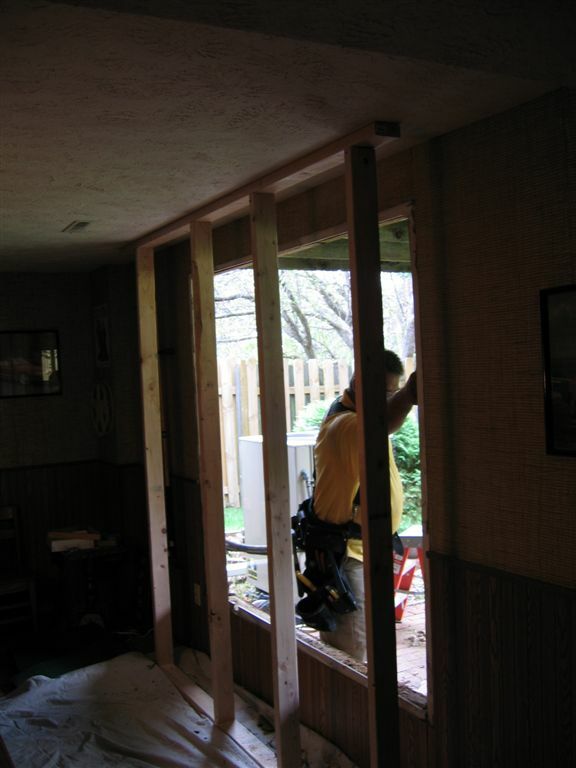 Opening number three is on the basement level and presents a little bit of a problem, when it is discovered that we might have a weak header over the old window…. What to do? Just build a temp wall on the inside to help hold everything up while the work get done. Luckily, the wood was in better shape than thought and the temp wall was not really required, but then waiting to see if things fall down is not really a good idea. No side of the house is save from the Batcave remodeling project. Yes, just as Scotty said to Captain Kirk, “There Be Whales of Holes Captain!”. Well it was something like that anyway. 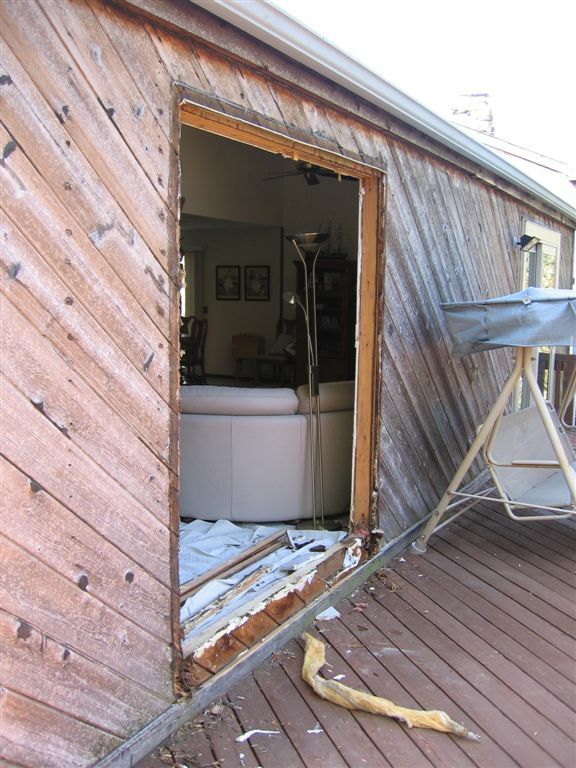 Just when it was looking safe out in the back yard, along comes the Batcave’s new windows and doors project. 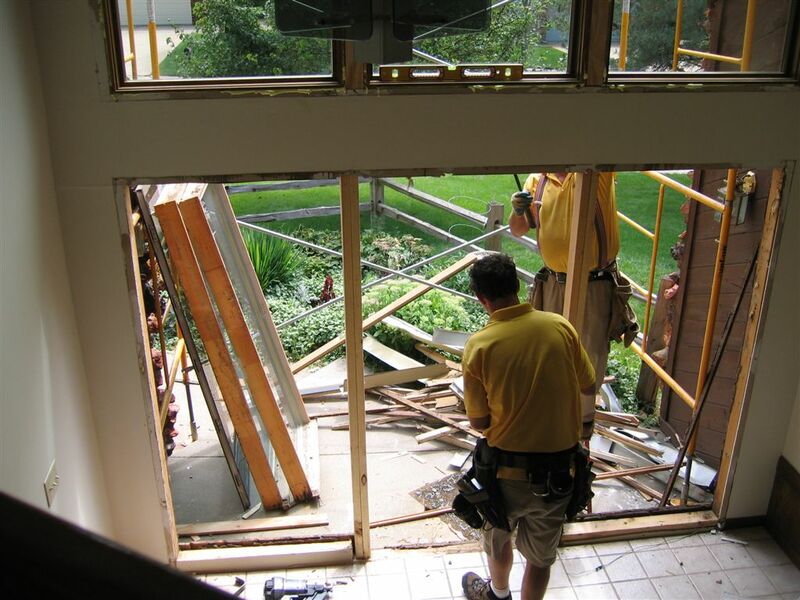 Say, just how long are they supposed to leave these big opening in the house anyway? Sure hope it doesn’t rain!